We have worked with numerous home owners/do-it yourselfers and several major city projects. Our costumers are always amazed how quickly and professionally we can complete their projects. A wrecking ball is a heavy steel ball, usually hung from a crane, that is used for demolishing large buildings. It was most commonly in use during the 1950s and 1960s. Several wrecking companies claim to have invented the wrecking ball. An early documented use was in the breaking up of the SS Great Eastern in 1888-1889, by Henry Bath and Co, at Rock Ferry on the river Mersey. In 1999, the wrecking ball was described as "one of the most common forms of large-scale coarse demolition." Although the wrecking ball is still the most efficient way to raze a concrete frame structure, its use is decreasing. 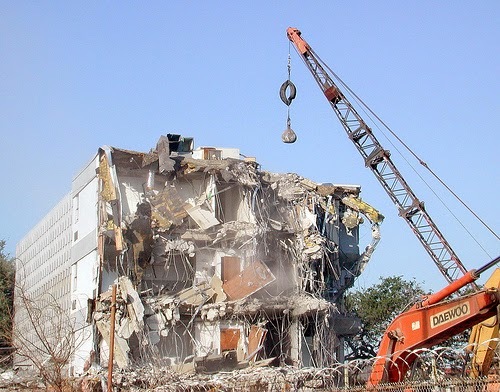 With the invention of hydraulic excavators and other machinery, the wrecking ball has become less common at demolition sites as its working efficiency is less than that of high reach excavators. Modern wrecking balls have had a slight re-shaping, with the metal sphere changed into a pear shape with a portion of the top cut off. This shape allows the ball to be more easily pulled back through a roof or concrete slab after it has broken through. 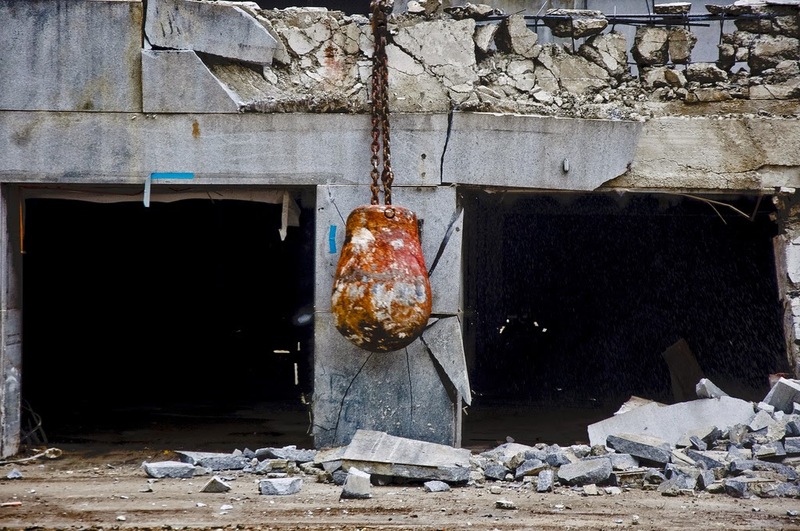 Wrecking balls range from about 1,000 pounds (450 kg) to around 12,000 pounds (5,400 kg). The ball is made from forged steel, which means the steel is not cast into a mold in a molten state. It is formed under very high pressure while the steel is red hot (soft but not molten) to compress and to strengthen it. To demolish roofs and other horizontal spans, the ball is typically suspended by a length of steel chain attached to the lifting hook of a crane boom above the structure, the rope drum clutch is released and the ball is allowed to free-fall onto the structure. To demolish walls the ball is suspended at the desired height from a crane boom and a secondary steel rope pulls the ball toward the crane cab. The lateral rope drum clutch is then released and the ball swings as a pendulum to strike the structure. Another method for lateral demolition is to pivot the crane boom to accelerate the ball toward the target. This is repeated as needed until the structure is broken down into debris that can easily be loaded and hauled away. The demolition action is carried out entirely through the kinetic energy of the ball. The advancement of technology led to the development and use of blasting charges, safer than dynamite and more efficient or practical than wrecking balls, to destroy buildings. The most common use of blasting charges is to implode a building, thus limiting collateral damage; see demolition. Wrecking balls are more likely to cause collateral damage, because it is difficult to completely control the swing of the ball. 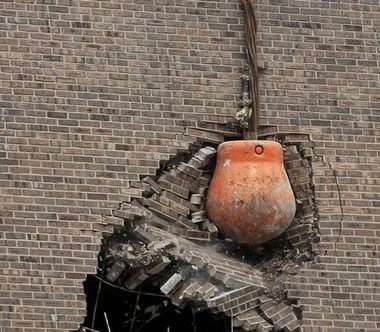 However, wrecking balls are still used when demolition may not be possible due to local environmental issues or asbestos/lead building content. What demolition Permits Do you Need at Seattle? What Permits Do you Need? You need a demolition permit to remove housing. If you plan to deconstruct housing (to reuse material) instead of demolishing it, you may be able to get a permit before your building or use permit is issued. See our residential deconstruction permit page for details. You cannot demolish housing to create non-required parking. There are also limits on demolition of landmarks; consult the Department of Neighborhoods Preservation Program. You need to follow the tenant relocation rules if the building you plan to demolish has tenants. You must meet asbestos survey requirements before you can obtain a demolition permit. Contact the Puget Sound Clean Air Agency at (206) 689-4058. 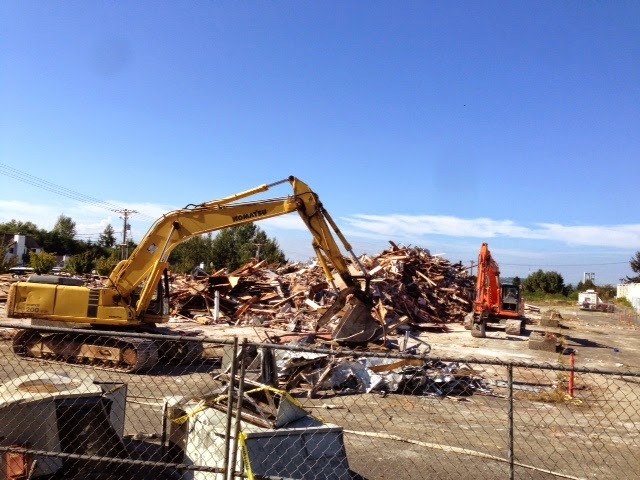 Read the Seattle Municipal Code (SMC) section on demolition of housing, SMC 23.40.006.